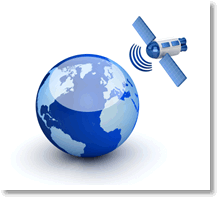 GPS provides a precise, efficient method of identifying geographic coordinates of landmarks and facilities. With many municipalities and utilities utilizing AM/FM and GIS systems, the geographically referenced data gathered by GPS is one of the first steps in assuring that the land base and facility data has the integrity needed to produce the highly accurate, detailed maps and databases you need. The GPS field data can be processed much more quickly than if were gathered by conventional means, cutting the time required for map and database production. Measurements that were difficult to obtain using traditional methods are much easier with GPS because you do not need a line of sight. Integrating a laser rangefinder with the system enables us to shoot offsets in inaccessible areas, increasing accuracy and efficiency even more. The ability to go back and use GPS to quickly update data and maintain these accurate maps and databases allows you to save time and money on your records updates and aids in plant maintenance. This translates to more reliable service and better customer relations for your company. Planning routes for proposed facilities including corridor analysis for environmental impact, wetlands mapping, land purchase, etc. GPS field data can be processed much more quickly than data gathered by conventional means.